Classification essay is all about classifying something in an essay, and it can be about any aspect like shared characteristics. The subject will be defined by a broad area, and it is important to go through the area for identifying the several key elements that make up what it is. The essay writer has to then explain these parts, which may not be easily apparent to other people. On the face of it, the classification essay may seem like a simple concept as it is only intended to help make a concept easily understandable to the reader. There are a few challenges with regard to this type of an essay; the chief of those issues will be dealing with the direction, as the writer may be forced to take an entirely different path which was not expected before. However, it is imperative to place faith in the process. How can you choose a great classification essay topic? It is often recommended to write about topics that you know. This happens to be one of the first advices for someone about to start a classification essay. While it is completely possible for a writer to do extensive research for the topic, nothing can beat the real world experience provided by experiencing the topic in person. Some may feel that the opportunity to research and explore a different topic will help them with a great learning curve. Further, there is also the possibility of adding a new viewpoint to the topic. These aspects will come in handy when trying to classify the subject. Plenty of prewriting time is essential before working on classification essay topics. Often, the writers tend to ignore this aspect but it can lead to a lack of knowledge on that topic. This lack of knowledge can become evident while trying to categorise the subject. It should be remembered that almost every aspect of the essay can be split up into categories, but they may not all be ideal for an interesting essay. The pre-writing time can be used to come up with a subject list, which will be able to help categorise each subject in a much better manner. It will also help identify a subject that can be further split up into several interesting and unique ways. Let us consider the example of food, which is a common subject. Yet, it can be split up into interesting groups like nutrition, and many people may not be aware of the same. After having come up with a list of the topics that seem interesting, it is time to research on the angle from which the topic will seem interesting to the reader. It is imperative that the essay does not appeal to the writer alone. Can the subject be classified or presented in a manner that will appeal to the reader? Can it be transformed into a category that is not popularly known? If these basic conditions are met, you have a winner on your hands in terms of the classification essay topic. After having chosen the topic, you need to spend plenty of time in order to think about the potential categories that this topic can accommodate. 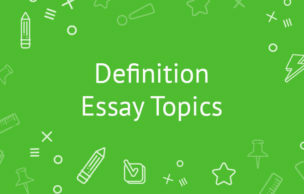 Ideally, you need to come up with at least three or four categories within the topic in order to make the essay interesting and useful to readers. If not, it is time to search for a new subject and begin the process all over again. After having chosen the subject, you should ascertain that the essay would include all the possible categories under that subject. While the idea of skipping on a couple of topics and categories may seem like a good idea when it comes to a large essay, it certainly does not make for good reading. This topic is ideal for a college student who has just gone through the experience of choosing a major at a college. Plenty of time and effort has gone into choosing a specific major. This gives plenty of experience about the topic, but there is even more to find through exploration. One can even write about the different forces that play a major role in the direction being taken at a college. The presidential election is not the only opportunity to discuss about politics, as this subject has the potential to provide plenty of content. One can even start from as basic as focusing on the motivation to get into politics. The perspective can also be broadened to a newly formed politician and the way their actions are shaped up by their motivations. Interestingly, this happens to be a topic that can provide multiple angles to write about. Even without experience, it is possible to write on politics in the classification essay. The global world has brought about substantial changes to the nationality, as today there are several types of people – belonging to different races and social classes – in a country. This is especially profound in a global superpower like the United States. One can come up with a classification essay that tries to shed insight into the different directions taken by each race or social class of people. Entertainment is today one of the biggest businesses and those in the entertainment industry command huge salaries. Hence, it is possible for a writer to go through in different areas of interest like the popularity of the industry or the exorbitant salaries that is quite prevalent. It would also allow you to explore subjects that are of interest like painting or music. An advantage is the option to provide a load of examples. Irrespective of age, sports happens to be one of the popular elements in our life. This presents plenty of opportunities to work on the subject. It can be even as basic as the reason for the popularity of sport. Furthermore, the research for the subject can be carried out even at the local stadium. The term vacation destinations comprises of multiple choices, thus giving a great opportunity to come up with a topic. The multiple choices are with regard to prices, destination type, and duration. Hence, a writer can go into several points on this topic, while the research can also be fairly easy due to the strong availability of travel agents. You can also write from your past experiences and compare culture differences when going in-depth on a topic like this one. Cooking is a subject where there is a lot of opinion. Food has a lot of impact of social lives, but what it is that drives us towards food as a social element? It is possible to focus on this element of the food, and it already has the makings of a winner. People love to read books and each have their reason to do so. Going into this aspect provides a great idea for the classification essay topic. Moreover, it can be moulded into different aspects by focusing on different hobbies. There are different genres of music with each having an interesting information and a background. Yet, most people tend to listen only to a specific type of music. At times, this exclusivity extends to a specific activity requiring a specific type of music. This provides an interesting topic for the essay. Relationships are being viewed as the complex part of our daily life. As we get older, the relationship needs change dramatically. Apart from being able to use personal experience for the points, focusing on the relationship can also help a writer research on the various elements rather easily by taking on the experiences that occur nearby every day. Inserting some human psychology information can wow the reader. The first dates can go either way: some are funny while some are just bad. The experiences are available in numerous ways, and it is possible to adopt plenty of styles with regard to writing on this topic. There are the generous restaurant tippers who gave out more than 20% on occasions, but there are also those who do not provide more than one percent. What is the reason behind the substantial differences in the tipping habits? This can be an interesting topic and it is also quite easy to research on this element. The social media reigns supreme in the modern world, but each have their own way of using social media. Some are more expressive while some are reserved – just like in real life. These differences can lend plenty of characters to write about as an essay. Just think about it - the impact of social media on students, the rise of social media manipulation, it's all there and you only have to choose a topic. Marijuana has been a topic of much debate in the United States with a large section of people opposing it. Yet, it is growing in popularity and there is a push for legalisation. One can also think about opting for a classification paper that focuses on the multiple ways to deal with substance abuse beyond the possibility of prohibition. There are plenty of fanatics of bodybuilding or working out out there. They regularly work out so as to keep in shape. One can consider a light-hearted classification essay that focuses on various characters in the gym. A serious topic would also be the multiple body issues faced by those who hit the gym. Another one would be about finding your motivation when heading out to train in a place that only brings you pain. Write about pain as the key to self-improvement, discuss side ideas and you will create a very wonderful piece. There are people of different personalities in the world. Most of their personalities have been shaped up by the environment and society. One can consider a topic on the reasons for some people to have a weird personality or some to have a great personality. This topic can be approached from various angles. Some need to come up with an essay for academic purposes as demanded by a class. This would lead to a great topic in the form of teachers and their ways of interaction. A student who has to come up with the classification topic will be able to recall the experiences from their day-to-day life in order to write this topic. Some teachers are strict compared to others. What is the reason? What is better? It is possible to look within for the topics, as our passion can often be a great topic to write about. Crucially, the passion could be explained to the readers with the help of real-life experience, and note that this is probably the only option to really keep the reader hooked to your essay. Neighbours can be great or worse. People have all types of experiences with neighbours. Getting into the minds of others will provide interesting insights into the different type of neighbours, thus providing a topic that seems to be on the mind of every home owner at least once in a day. One of the favourite drinks in the world, beer tends to provide plenty of opinion amongst people. Each have their preferred the taste, but beer often tends to overcome any occasion since it is a universal bank. What is the reason for its popularity over the regular spirits? Why do some people tend to prefer a specific brand? This can be a great topic for the classification essay and it happens to be one of the easiest to research upon. Merely a visit to the local bar will lend a lot of insight for the topic. These are some of the top 20 topics that can help a writer come up with a great classification essay. 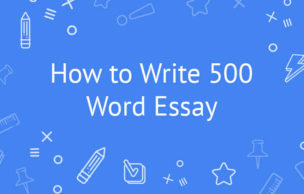 Once you have settled on the topic but are still unable to churn out the contents, you can always seek help in order to come up with best classification essay. Apart from providing the directions, we will also be able to assist you with the entire content. It's time to be creative, so now you can turn off your electronic devices to focus on just one thing. Happy writing!